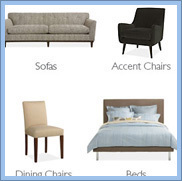 You probably spent a great deal of time (not to mention money) choosing just the right furniture for your home. The look and the feel of new furniture is something we wish would last for a long time. However, most people don’t just keep their furniture as pieces of art. They are well used and well-loved fixtures in our homes. To make sure the investment is worth it, there are a few things that should be done when it comes to caring for your furniture. 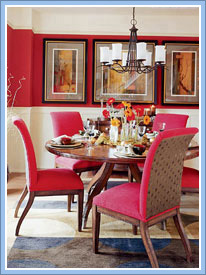 One of the best ways to prevent colors from fading is to keep your furniture out of direct sunlight. 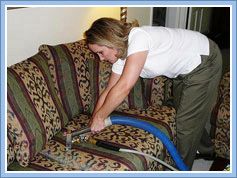 Vacuum your upholstered furniture as much as possible. 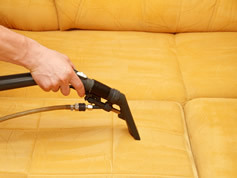 Remember, dust settles on upholstery just as much as it does on a hard surface such as a floor or a shelf of knickknacks. Avoid leaving newspapers on your furniture. Ink can accumulate and is very hard to remove. Don't cover your upholstery with dark-colored blankets or sheets. The dyes can rub off onto other fabric when dry or bleed when wet. 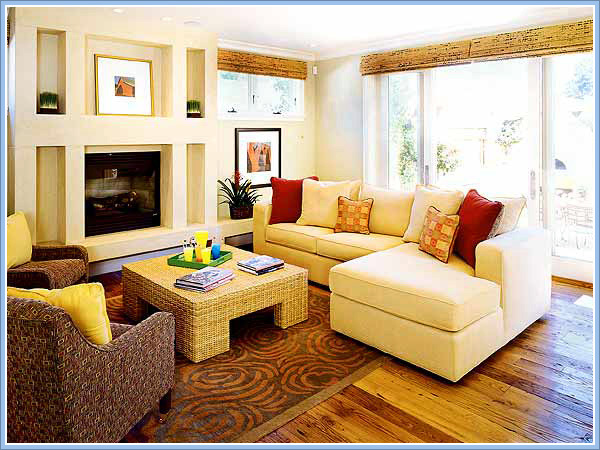 For high-use furniture, it's a good idea to beat the cushions (often) and then vacuum and rotate them. This can help in distributing the wear. Do not remove cushion covers for dry cleaning or machine washing even if they have zippers. Remember, all upholstery fabrics are different and can't be cleaned the same way. Before using a store-bought spotter, check the labels on your furniture. Furniture makers now attach tags with cleaning codes noted. "W" means it is wet-cleanable, "S" means solvent-clean, "W/S" means either wet or solvent clean and finally "X" means dry vacuum only. No type of cleaning agent whatsoever can be used on this type of fabric. Generally, cleaning should be done between 1 and 2 years depending on the furniture's location, use and exposure to soiling. The American Furniture Manufacturers Association states that if a fabric is exposed to excessive or heavy soiling, it may be permanently stained. Our goal is to remove normal soiling without changing the color, texture or finish of a fabric. Before cleaning, you should tell the technician how old the furniture is, if you have used any spotters or cleaners on it yourself or if the piece has ever been reupholstered. Depending on the type of fabric, different methods of cleaning will be used by us. Dry solvent cleaning is thought of as the safest method. The upholstery shampoo method is quick & effective and dries quickly. Dry foam cleaning is similar to the shampoo method but it uses less moisture so it dries even faster. Hot water extraction cleaning is the most effective way to remove heavy soils, provided the fabric is compatible with this method. This is also the preferred method for restorative cleaning and for sanitized cleaning. 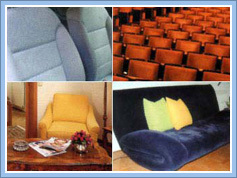 Applying fabric protection can increase the life of your upholstery. However, it does not eliminate the need for proper fabric care. It doesn't put a plastic cover on it. Loose dirt should still be vacuumed up on a regular basis and spills and stains should be cleaned away as quickly as possible. We also offer carpet and upholstery cleaning of cars, trucks, SUV's and campers. Call for pricing details.